There will be a compulsory demo session in the theatre. This will be followed-up with a workshop which is not compulsory. Microsoft Lync is a video conferencing and messaging software. It allows you to chat, video conference, share files and work online with your colleagues as well as sharing your desktop and your applications. It will also be the new telephone system for the college eventually, starting with the Southgate Campus. Go to the drop-in workshops (in classrooms) to experiment and have a go. This session will be delivered by a company called Modality and supported with workshops by our IT staff members; Richard and Ricardo. Lync is already installed on a PC already (so no need to install). Just go to start > type Lync in search box > click on Lync 2013. Can I get Lync on my device? Yes. Install Lync from the App store or Google Play store. 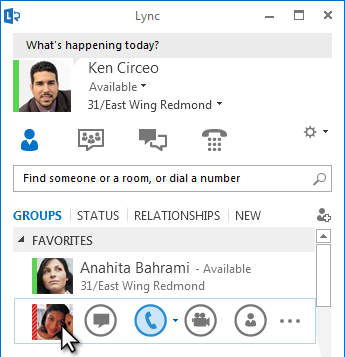 You can get Lync on your tablet device and phone. Use your college email address, password and your username e.g. st….